Once again we’ll be hosting our annual fashion show, a great event to get that Christmas Outfit or some great gifts. Why don’t you come along to our race night for family fun and entertainment…. Oh and the opportunity to win BIG! 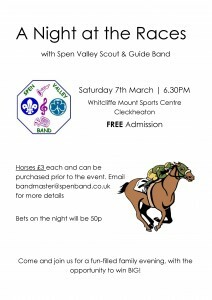 Saturday 7th March at Whitclife Mount Sports Centre. Free Admission, All are welcome. Readmans have generously offered to support the band by donating 10% of all purchases made in their store between Saturday 22nd November and Sunday 21st December 2014 to anyone who quotes “Spen Valley Scout & Guide Band” to the cashier. This is a brilliant fundraising opportunity for the band and a way of raising funds whilst you all do your Christmas shopping. As you know Readmans sells Clothes, gifts, cards and wrapping paper so we’re sure there’s something that you’ll need to purchase on the run up to Christmas. 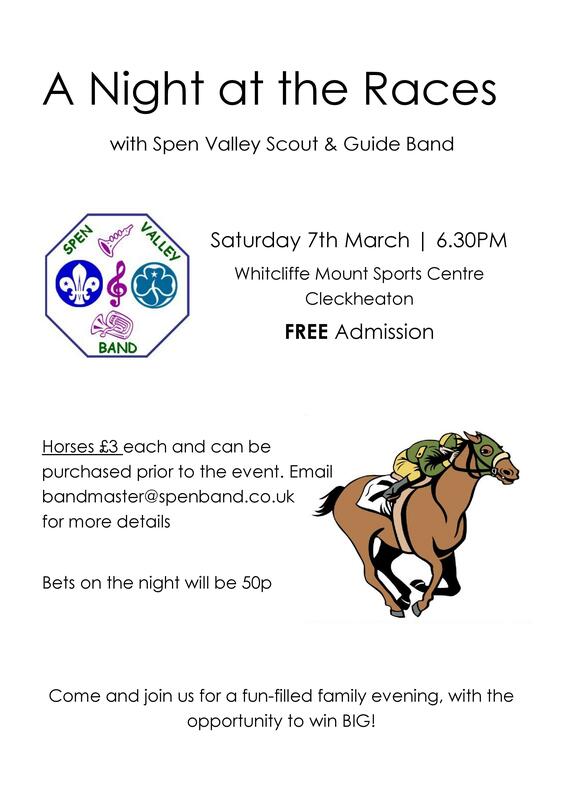 Please spread the word to family and friends and tell them to quote “Spen Valley Scout & Guide Band” to the sales assistant at the checkout to ensure the donation goes to the band. It’s not too late to order a plate for Santa and Rudolph. If you would like to purchase one they are £5, please fill out the order form here and we can arrange for you to collect it at your convenience. Remember that all the funds go straight to the band. 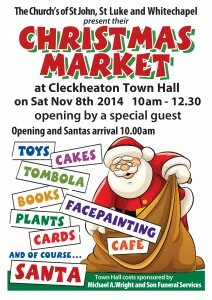 The band will be performing and also having a fund raising stall at this years Cleckheaton Christmas Market hosted by the Churches of St Luke, St John and Whitechapel. 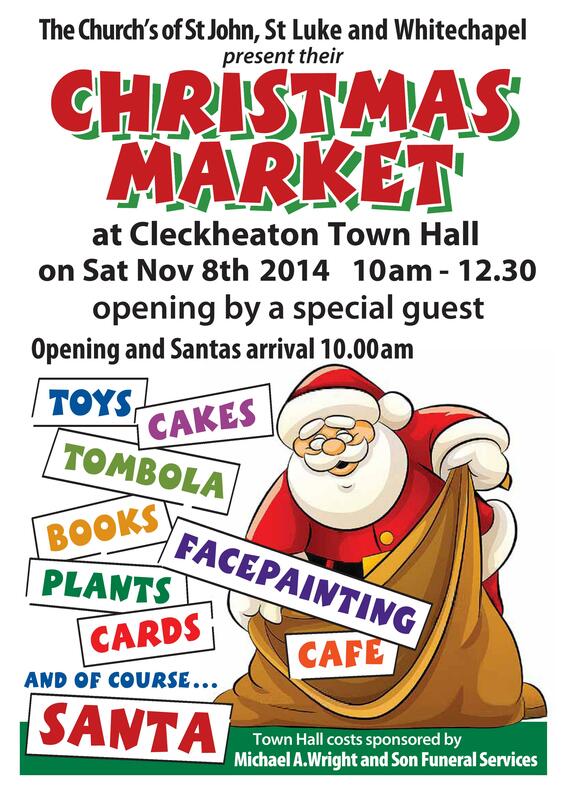 Please come along to support this local event and help some great causes. 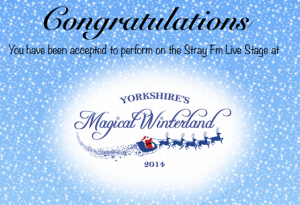 The band has been accepted to play on the Stray FM Live Stage at Yorkshires Magical Winterland event in Harrogate on Sunday 14th December. A great opportunity for the band to experience and also a great fund raising opportunity. 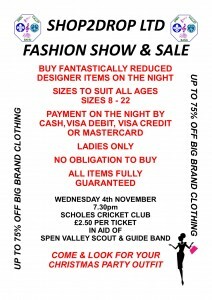 The band are hosting their annual fashion show on Wednesday 1st October at Scholes Cricket Club Cleckheaton. This event is always a great success and you can get yourself your new Autumn wardrobe or get some early Christmas bargains with High Street brands being sold at discounted prices. Either purchase your tickets through the band or pay on the door and all proceeds are going to the band. 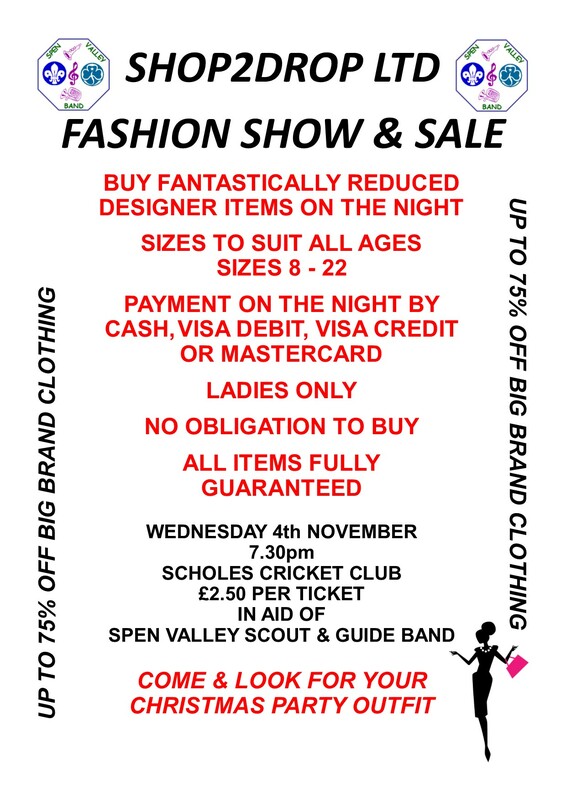 The Spen Valley Scout & Guide band are hosting a fashion show on Wednesday 9th October starting at 7:30 at Scholes Cricket Club, Cleckheaton. Tickets are £2.50 on the night and all funds raised will be going to the band. Buy designer items at a massively reduced rate. 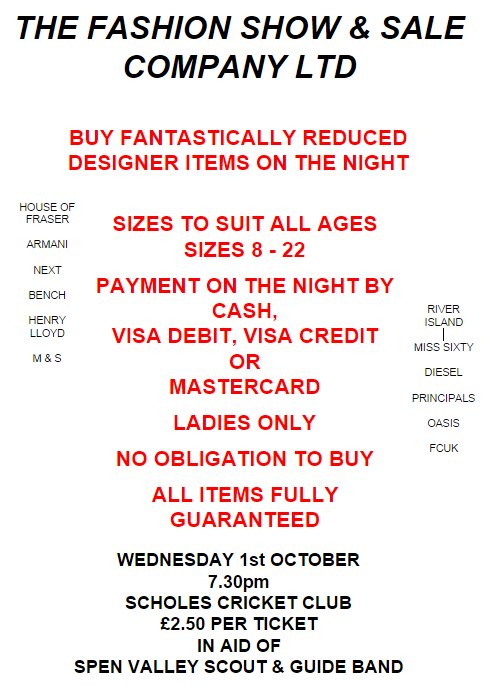 Come along for a great night and bargains galore.